Our competency lies in manufacturing and supplying our clients an excellent quality range of Goldsmith Double Head Rolling Machine. We are one of the known names of the market engaged in offering superior quality Double Head Roll Press Machine to the customers. In addition to this, we make sure that the tools offered by us satisfy the exact requirements of the clients efficiently. 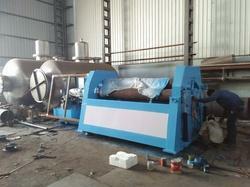 Double head rolling machines with emergency stop function and automatic lubricating system. We are well known industry in market as the foremost manufacturer and exporter of Double Head Sheet Wire Rolling Machine that is extensively used in jewelry industries.our provided rolling machine is highly acclaimed by our clients for breakdown of either gold & silver plates or to produce wires. Our prestigious clients can avail this rolling machine from us at industry leading prices. 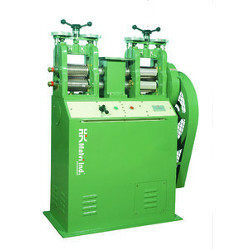 We are the prominent manufacturer of fine quality Double Head Rolling Machine. Widely appreciated by our clients, these Double Head Rolling Machine are made by using advance technology and high quality material. These Double Head Rolling Machine are available in various types and we offer at market leading prices. Matching up with the ever increasing requirements of the customers, our company is involved in offering Double Head Sheet Wire Rolling Machine. Being one of the renowned firms in the industry, we are involved in providing a high-quality array of Single Head Roll Press Machine.